What is the difference between probiotic supplements and cultured foods? Cultured Foods contain beneficial microorganisms to help re-establish your inner eco-system. They are much more powerful than any probiotics you can buy in a capsule. The L. Plantarum contained in these vegetables can’t be destroyed, even by antibiotics. Cultured vegetables are pre-digested, meaning that before they even enter your mouth, the friendly bacteria have already converted the natural sugars and starches into lactic acid. This will help digest all of the foods you eat. What are the main benefits of cultured foods? 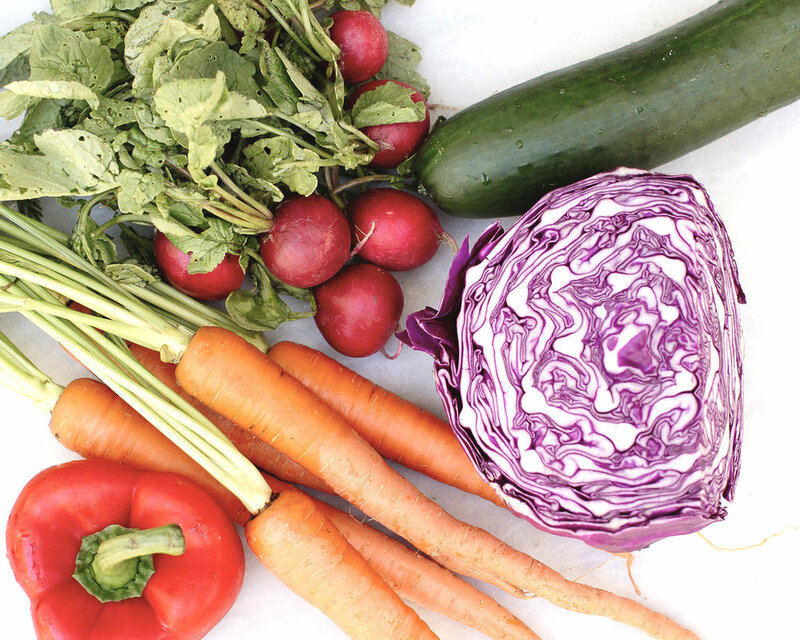 Raw cultured vegetables are alkaline and very cleansing. They are very rich in vitamins and minerals and will help control sugar cravings. How much kraut should I eat? We recommend eating a cup of cultured vegetables with each meal. It is common to experience an increase in intestinal gas initially. This is part of the cleansing process. What is the shelf life of Healing Movement Kraut? 6 months once opened in the fridge. I don’t really enjoy the taste, but I wish to enjoy the health benefits. Any suggestions? Throwing the cultured veggies on your favorite salad or wrap is a crowd favorite. We also recommend seasoning it with salt, hemp, or organic salad dressings. People also love eating them with Gluten free crackers. What are the benefits of the coconut Kefir? It is a cultured and microbial-rich food that helps restore the inner ecology. It contains strains of beneficial yeast and bacteria that give kefir antibiotic properties and aids in the digestion of all foods while also helping to build tone in the intestines and cleanse the liver. Many people report having a brighter complexion, improved vision and reduced joint pain. It contains high levels of valuable minerals including potassium, natural sodium, calcium and magnesium which explains why the hair, skin and nails become stronger and have a prettier shine. Due to the nature of our products, we do not accept returns for cultured vegetables purchased on our website. Incorrect address - We ship to the exact address you enter at checkout. Please double check that your address is correct before you submit your order. Please contact the shipping provider (a tracking number will be provided to you as soon as your order ships) if they are having trouble delivering to your particular address.